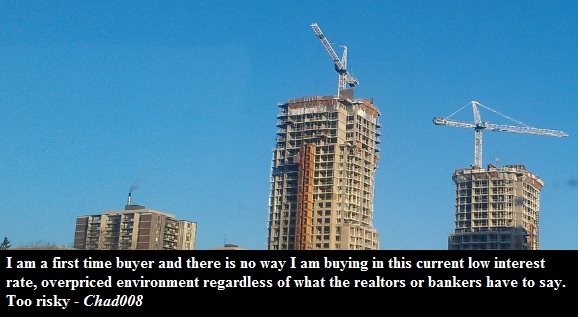 When first time home buyers, like Chad, start viewing home ownership as being too risky it suddenly makes sense why new condo sales have slumped by 60% from 2011. The bubble has run out of fuel. Thing is, Chad is right. 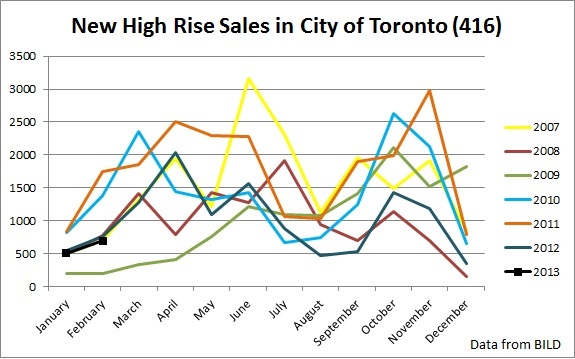 Buying a condo during the peak of the bubble is risky. Why enslave yourself with a mortgage for living in a jail sized cell that is overlooking the Gardiner when you can rent the same place for less than its carrying cost? 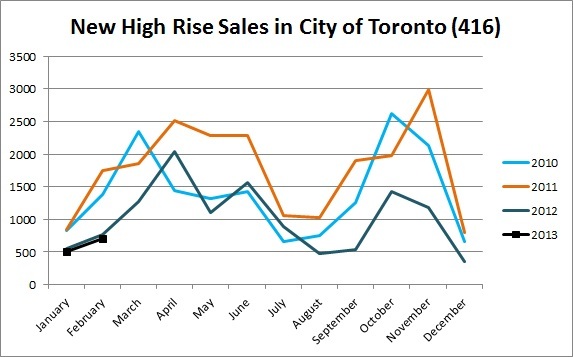 Without 4% annual appreciation buying a condo hardly makes sense and when a dozen of financial institutions expect a housing correction in the coming years, the risk is nearly guaranteed. But back to the stats. 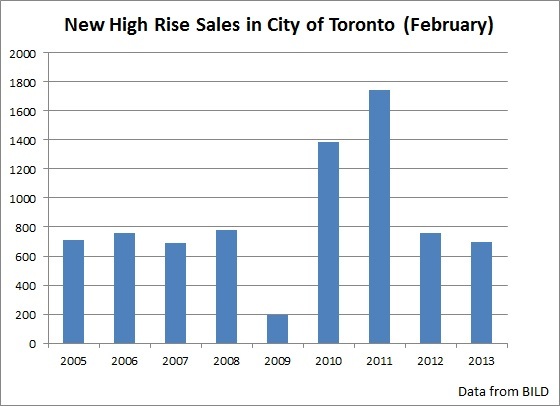 According to BILD, February's new high rise sales in the city of Toronto are down by 8% from a year ago, and down 60% from two years ago. In a way, new high rise sales are back to what they used to be between 2005 and 2008. 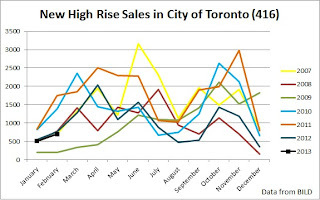 The manic sales spikes in 2010 and 2011 happened due to Carney's low interest policy which inflated a condo bubble. In 2012 and 2013 the artificial demand created by low interest rates have finally waned which is a good news as now prices can retreat back to more reasonable levels. The more prices fall, the happier first time home buyers like Chad would be. 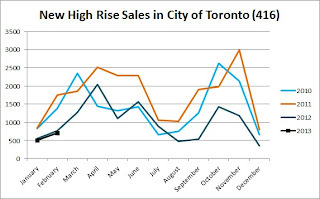 Overall, February's new home sales in the GTA fell by 22% from a year ago and by 45% from two years ago.